Homeowners faced with foreclosure often wonder if they can sue their lender. If you are in this position, there is good news: The recent case Glaski v. Bank of America et al. 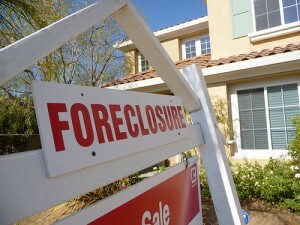 in California may open a new avenue for homeowners to challenge foreclosures on their property. In the Glaski case, the homeowner took out a mortgage from a bank. The bank then transferred the mortgage to a trust held by a third-party. However, according to the terms of the trust, the mortgage was transferred into the trust too late, after the trust had closed. Thus, there was a defect in the transfer. As such, Glaski argued that the third-party could not foreclose on the property because the third-party did not own the homeowner’s mortgage. The court agreed with Glaski and prevented the third-party from foreclosing. What Power Does the Glaski Decision Grant Homeowners? Glaski opens up a new avenue for homeowners to challenge foreclosures on their property by scrutinizing the manner in which their mortgage was transferred from their bank to third parties. More specifically, the Glaski decision grants the homeowner standing to declare the transfer of the mortgage void if there was a defect in the transfer. If the homeowner is successful, this may prevent the third-party from being able to foreclose on them. Meanwhile, banks now need to take greater care to avoid defects when transferring mortgages. Not all California courts agree with the Glaski ruling. Other courts have held that a homeowner does not have standing to challenge defects in the transfer of their mortgage. This is because when a homeowner takes out a mortgage from a bank, they generally sign a contract that permits the bank to freely transfer their mortgage. Therefore, the mortgage belongs to the bank to transfer as they see fit, and under some legal theories, the homeowner has signed off any right to scrutinize the process by which the mortgage is transferred. Thus, any defect in the transfer to a third-party is solely an issue between the bank and the third-party, and outside the scope of the homeowner’s interests. Although this area of law is unsettled, the Glaski decision may be used as precedent to challenge foreclosures. If you are being foreclosed upon, you should contact an experienced real estate attorney who can help determine whether there was a defect in the transfer of your mortgage, or other manners to challenge your foreclosure.